Sometimes we go far and wide finding prospects when we have folks right in our own backyard. There is power in getting local leads. Today, you’re going to learn how to find them and get them. Our guest today is Mark Fortune and he’s going to teach us how to gain local leads. Mark owns a small business marketing agency based in Arkansas. They work with small and local businesses. They put in marketing systems, strategies, and campaigns to help them grow the business. He does this through the Duct Tape Marketing System. Mark is the author of Local Lead Generation Book for Small Businesses. They don’t have the time, money, or bandwidth to compete with the bacon guys. But they can pinpoint far more accurately. You can actually compete with the big guys. Most business owners tend to jump from one tactic to another in just a wee. They just see what sticks but they don’t really get the results they’re after. 1. Trying everything at once. Don’t just try all social media platforms or you will just end up losing focus. Small businesses get so excited about trying to generate leads that anybody with a pulse becomes their targeting strategy. Figure out your best customers. What you need to do is sit down for a minute and think about who your best customers are. Most businesses come from word of mouth and referral as a start. So think about who those clients are and what’s common among them. Use that the proxy to your targeting as you go out and generate more leads. Use your best customers as your example. Consumers are in control these days. Consumers can find out pretty anything about what they want right at the tips of their fingertips. But they’re still human. So don’t try to rush them into a relationship when they didn’t have the chance to evaluate or educate themselves about you. 1. Spend time upfront getting to know your customer. Build that relationship. Understand what makes their business tick, what their vision is, and what they’re trying to achieve. 2. Apply what Facebook offers as a tactic to the needs of the prospects. This needs to start with the client. Understand what they’re going out with, what they’re trying to do, and what they’re trying to get done. Then figure out the best way to help them get there. Understand first where your customer base is today. Are there win back opportunities with, say, return customers or last customers? Are there referral opportunities? Stop treating referrals as happy accidents. Mark co-wrote the book with other consultants with similar businesses. 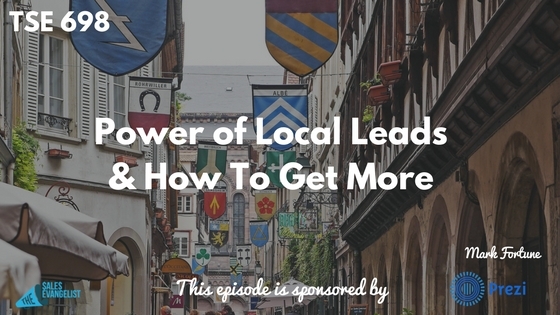 It’s a practical guide to helping people generate more local leads. Don’t read the book chapter by chapter and but jump from one topic to another as you try to figure out from one chapter to another. Make sure you do what you do well. Deliver on your promises. And you’ve got to get good reputation. 2. Have a plan and a process for asking for referrals. Educate your referral partners on what you’re going to do with that referral when that comes in. Understand that people get nervous as they’re putting their personal credibility on the line if they refer you to somebody. You’re trying to give comfort to your referral partner that they feel credible and positive about referring you out. Reach out to folks every week, whether it’s two people or two hundred. But never stop mining for those referrals. 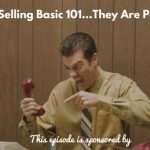 They’re going to be the cheapest cost to acquire leads you get. Whether it’s a blogpost or an infographic or whatever, continue to publish new content and post it on different channels. This lets your target market know that you’re out there and that you can solve the problems they’re after. Be sure to update your posts. Maintain that online presence to make sure your customers sees you the way you want to be seen. Small businesses have to have a personality and it has to come through in your marketing. Take a video tour of your business. Run some contests. Support local community causes. Focus on solving problems. Localize your approach. Local may not mean geographically. It may mean before going to a sales call, you’re going to understand everything you can about the company and the people you’re going to be dealing with. Do your homework. 2. Listen as much as you talk. Go to a sales call with the intent of listening. Seek to understand before you’re understood. Figure out what you can do to help the companies. But sometimes, you might not be able to. It’s better to quit early and move on rather than waste everybody’s time. 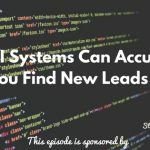 Make marketing a system and it’s the only way to success over the long run. Focus on it and be disciplined. On the sales side of things, just listen. Listen to your customers and what they’re saying because there are nuggets in there. You will find pain points and points of value that you turn into your advantage. Connect with Mark on www.fortunemarketinginc.com and check out his book Local Lead Generation Book for Small Businesses.